IT IS IMPORTANT to know what your moles look like. 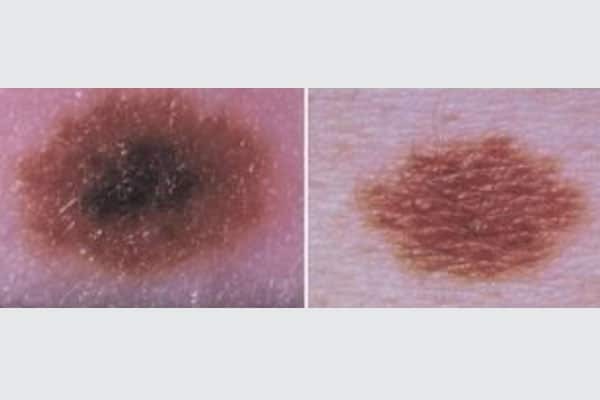 While moles are harmless, sometimes skin cancer can develops in or near a mole. 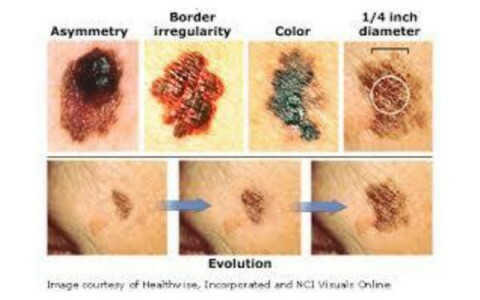 If you know where you have moles and what your moles look like, it can help you find skin cancer early. When found early and treated, skin cancer has a high cure rate. The best way to check your skin is to perform a skin self-exam. You can perform this exam at home. You need a room where you can undress and have access to a full length mirror and a handheld mirror. It also is helpful to use a body mole map to track changes on your skin. A skin self-exam means you’ll need to look at all your skin. Moles can appear anywhere on your skin – the scalp, between fingers, on a toe or sole of the foot. You can even get a mole under your nail. 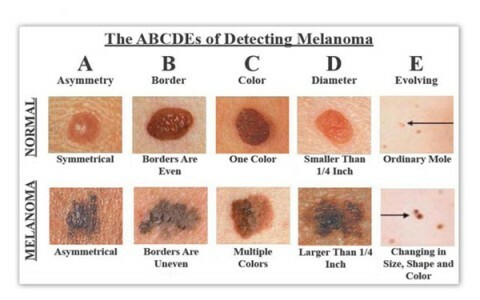 As you examine your skin, you will look at each individual mole. 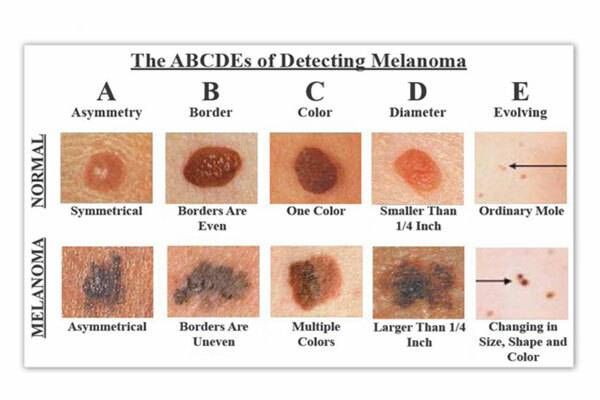 As you look at a mole, you want to look for the following signs, which you can remember as the ABCDEs. Is one-half of a mole unlike the other half? 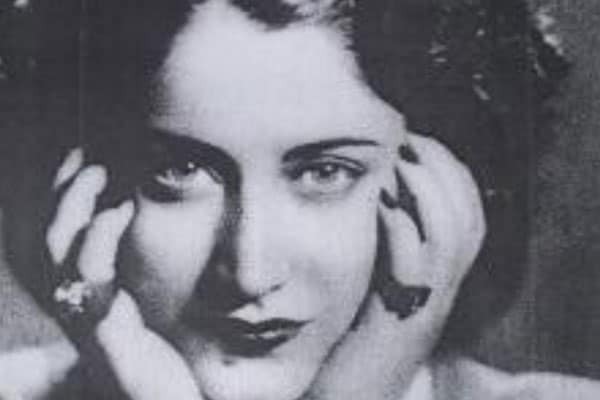 Does a mole have an irregular, scalloped, or poorly defined border? Do you see more than one color in a mole, such as shades of tan and brown, black, white, red, or blue? Do you have a mole that is bigger than 6mm (the size of a pencil eraser)? Melanomas are usually bigger than 6mm when diagnosed, but they can be smaller. Do you have a mole or other spot on your skin that looks different from the rest? Have you noticed that a mole or other spot is changing in size, shape, or color? As you examine your skin, if you answer yes to any of these questions, you should make an appointment to see a dermatologist immediately. If your dermatologist sees a mole or other spot that looks abnormal, your dermatologist will recommend removing it. A mole can be removed during an office visit. This is a safe and simple procedure when performed by a dermatologist. The skin that your dermatologist removes will be examined under a microscope. Your dermatologist may examine the skin or send it to a lab. Examining the skin under a microscope is the only way to tell whether a patient has skin cancer. This process of removing the skin and examining it under a microscope is called a skin biopsy. If you see a mole or other spot reappear after a skin biopsy, immediately make an appointment to see your dermatologist. The results of your skin biopsy will be described in the biopsy report. 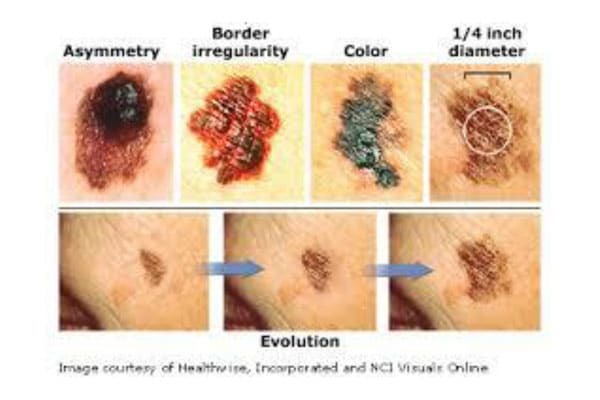 If the biopsy report says your mole is an atypical nevus, you do not have skin cancer. 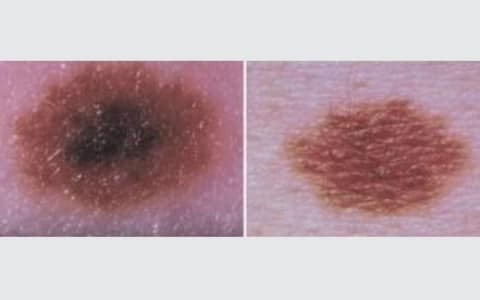 An atypical nevus (sometimes referred to as a “dysplastic nevus”) is a mole that does not look like a normal mole but it is not a cancer either. To the naked eye, an atypical mole can look like a melanoma. These moles also have a higher risk of progressing to melanoma. Your dermatologist will determine if the mole requires any further treatment.